A native of Pineville, just outside Charlotte, North Carolina, Roy Lear first learned guitar from his father, David Lear, who played banjo in the WOW (Woodsmen of the World) Stringband over WBT’s Crazy Water Crystals Barn Dance in 1934 and 1935. By the age of seven, the younger Lear was seconding his father on guitar at local dances. In the late 1930s, fiddler Sam Poplin was broadcasting on WIS in Columbia, South Carolina, and needed two musicians for his band. Lear hitchhiked to Columbia with his neighbor Lonnie Smith to audition, and won a spot in the group singing and playing guitar. Lear worked the early morning and noon time radio shows with Poplin’s group and played hundreds of schoolhouse dates and dances until the band broke up at the start of World War II. In 1943, after his discharge from the army, Lear joined the Tennessee Ramblers who had just left WBT and were touring theatres on the T. D. Kemp circuit throughout the Southeast and as far away as New York and New Jersey. Lear recorded with Ramblers Cecil Campbell, Don White and Jack Gillette in 1945 for Super Disc in Washington, D.C.
After leaving the Tennessee Ramblers when that group split up in 1946, Lear became a member of Arthur Smith’s band, the Crackerjacks, playing bass fiddle. From 1946 to 1951 he appeared with Smith on WBT’s Carolina Hayride and Carolina Calling radio programs and in a host of personal appearances all over the Carolinas. Though he was never an official Briarhopper, Lear often played with them on barn dances. He also recorded with Betty Johnson of the Johnson Family Singers. In 1951, Lear rejoined Cecil Campbell and the Tennessee Ramblers whose line­up now featured Campbell on steel guitar, Jimmy Lunsford on fiddle, Millard Pressley on mandolin and Lear on guitar and bass. The band appeared on WBTV’s The Hitching Post for a year and continued to tour locally. 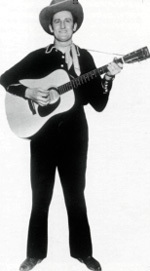 Although Lear continued to play regularly with the Tennessee Ramblers, by the mid-1950s he needed to supplement his performing income and started work at Cone Mills. He later switched to a job in a sheet metal factory where he stayed for thirteen years before retiring. Lear remained an active member of the Tennessee Ramblers up through the 1970s when the band stopped playing out regularly. His interest in music, however, has not stopped or been limited to his country and western background. 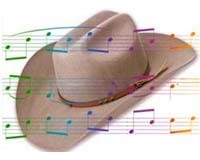 Today in 1985 he is active writing sheet music for aspiring songwriters and helping young people who are trying to break into the music business.